I believe that I will always be in awe of the straight line, its beauty is what keeps me painting. 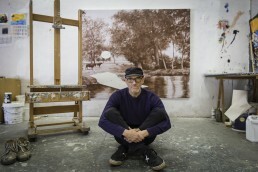 Artland’s Lost (and Found) Artist Series focuses on artists who were originally omitted from the mainstream art canon or largely invisible for most of their career. We started our series with the pioneering abstract artist Hilma af Klint, followed by West Coast Light Artist Mary Corse and performance artist Carolee Schneemann. 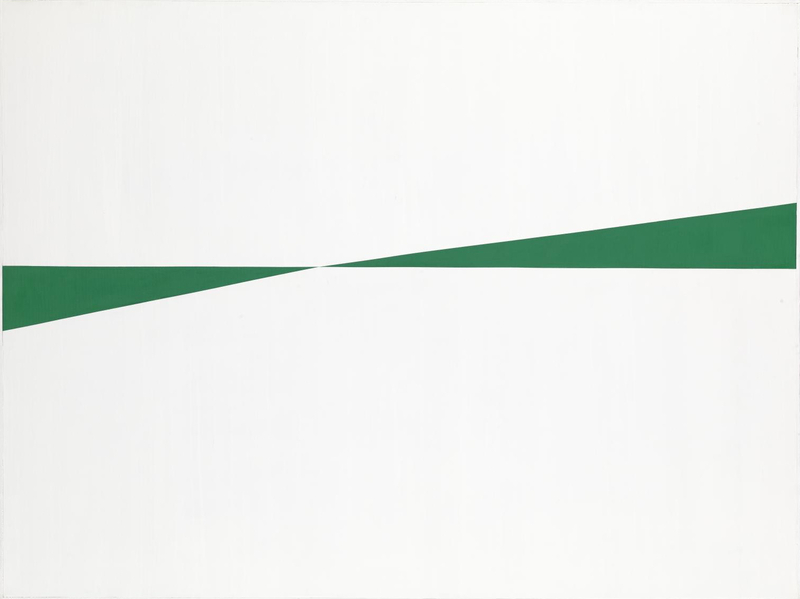 Number four in our series is Cuban-American abstract artist Carmen Herrera. 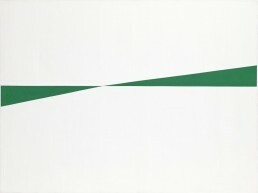 In 2016, The New York Times published an article titled ‘A 101-Year-Old Artist Finally Gets Her Due at the Whitney.’ This referred to Carmen Herrera’s large-scale retrospective ‘Carmen Herrera: Lines of Sight’ (September 2016 – January 2017) at the Whitney Museum of American Art in New York, which focused on her period of work between 1948 – 1978. Herrera, who was born in Havana, Cuba in 1915, spent her creatively formative years in 1940s and early 1950s Paris, and has been living and working in New York City ever since. 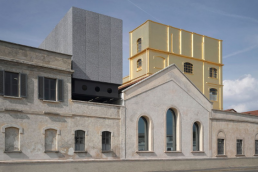 There, she quietly but steadily built her vast body of work, establishing a cross-cultural dialogue with modernist abstraction through the decades. 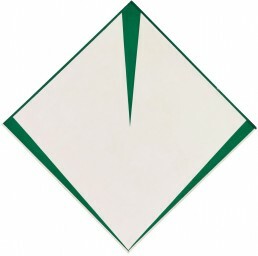 Carmen Herrera initially wanted to be an architect. 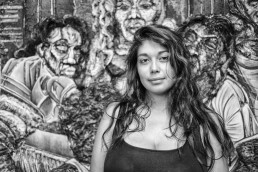 She studied architecture in Havana, but due to the many revolutions in Cuba in those days the university was always closed, and she became an artist instead. She moved to New York City in 1939 with her American husband Jesse Loewenthal, where she attended classes at the Art Student League. 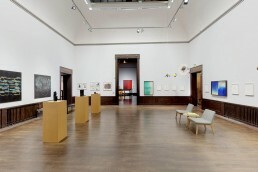 Between 1948 and 1953, they lived in Paris, where Herrera quickly became associated with the international group of artists Salon des Réalités Nouvelles (founded by avant-garde artists such as Sonia Delauney and Jean Arp). 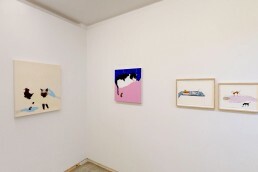 In Paris, she was also exposed to canonical works by Malevich, Mondrian and other artists of the Suprematist movement and De Stijl for the first time. 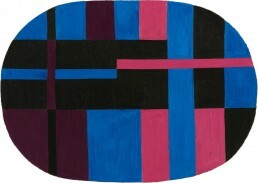 During this period, Herrera regularly exhibited work with the Salon des Réalités Nouvelles and also showed works alongside Theo van Doesburg, Max Bill and Piet Mondrian and a younger generation of Latin American artists, including members of the Venezuelan Los Disidentes, Brazilian Concretists and the Argentinian Grupo Madi. Throughout her Paris years, Herrera developed a distilled, geometric style of abstraction. At first, she reduced her colour palette to three colours for each composition; soon, three became two. Herrera’s ascetic compositions predated Minimalism by almost a decade, yet were not at all well received upon her return to New York City in 1954, where Abstract Expressionism was still the commonly favoured style. 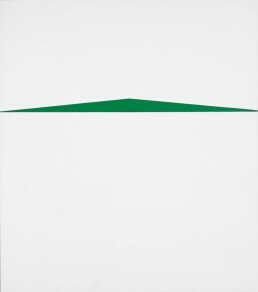 Around the time that Herrera started creating her hard-edged canvases, moving towards sharper and more minimal work, Ellsworth Kelly was also exploring abstraction, and Frank Stella was creating his famous black paintings. 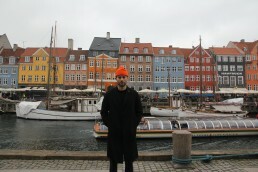 Yet, being a woman and an immigrant, Herrera faced a great deal of art world discrimination. As one story goes, the art dealer Rose Fried told Herrera: ‘You can paint circles around the male artists that I have, but I’m not going to give you a show because you’re a woman.’ Despite facing such adversity, she continued to paint with great determination, only rarely exhibiting her work. In stark contrast to France, which Herrera described as an accepting heaven for her as an artist, New York was hard, and she was hardly recognised. 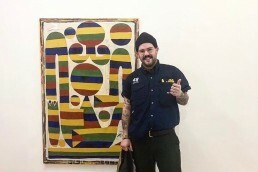 Still, Herrera was connected in a way to the New York art scene, counting people like Barnett Newman, who was working in a similar style, and his wife Annalee as her friends. They were neighbours and used to have breakfast together every Sunday. By the mid-sixties, Herrera was creating intimate, diamond shapes on circular canvases, and by the seventies, she was producing many blunt, monumental rectilinear red shapes on fields of white. A particularly striking series consists of 7 canvases named after the days of the week, which Herrera painted between 1975 and 1978. 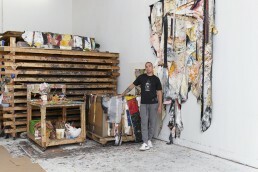 At the Whitney retrospective, these paintings made up the finale of the show. 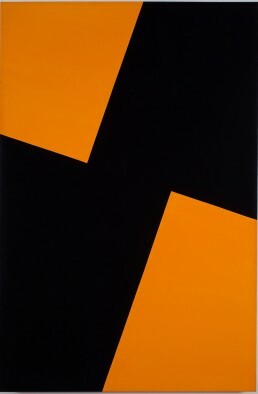 Each of the seven canvases contains one or two large, angular black forms juxtaposed against a different colour. The sixties and seventies also meant a return to the tenets of architecture for Herrera, one of her first loves and something that continued to influence her thinking and work. In her monochromatic series called ‘Estructuras’ (Structures), Herrera moves from drawing to painting to three-dimensional sculptural works. 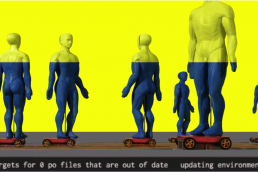 The three-dimensional pieces consist of two monochrome slabs that never quite fit together. 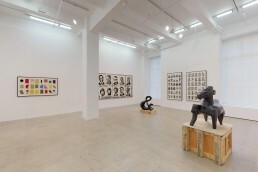 By the 1980s and 1990s, Herrera’s artworks started to garner more attention, resulting in an exhibition at The Alternative Museum in New York in 1985, and a show in 1998 of her black and white paintings at New York’s El Museo del Barrio. Still, her first ever sale only happened in 2004. 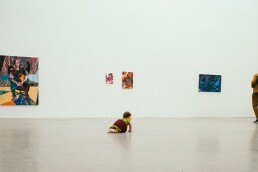 In 2005, she exhibited at Miami Art Central and her first monographic showing in Europe was at the Ikon Gallery in Birmingham, England in 2009. Big institutions like Tate Modern, MoMA, Walker Art Centre, Hirshhorn Museum and Sculpture Garden, and Boston Museum of Fine Arts only started recognising Herrera’s work about ten years ago, when they started acquiring pieces for their collections. 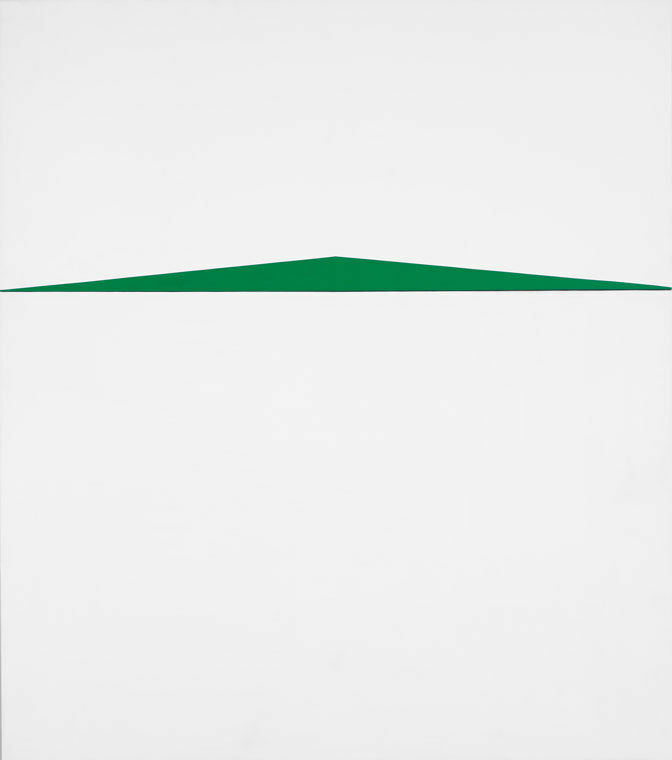 In 2016, the same year as the Whitney retrospective, Herrera had a major solo exhibition at the Lisson Gallery in New York — her works have been shown there seven times altogether, and her most recent Lisson exhibition was ‘Carmen Herrera — Estructuras’ in 2018. 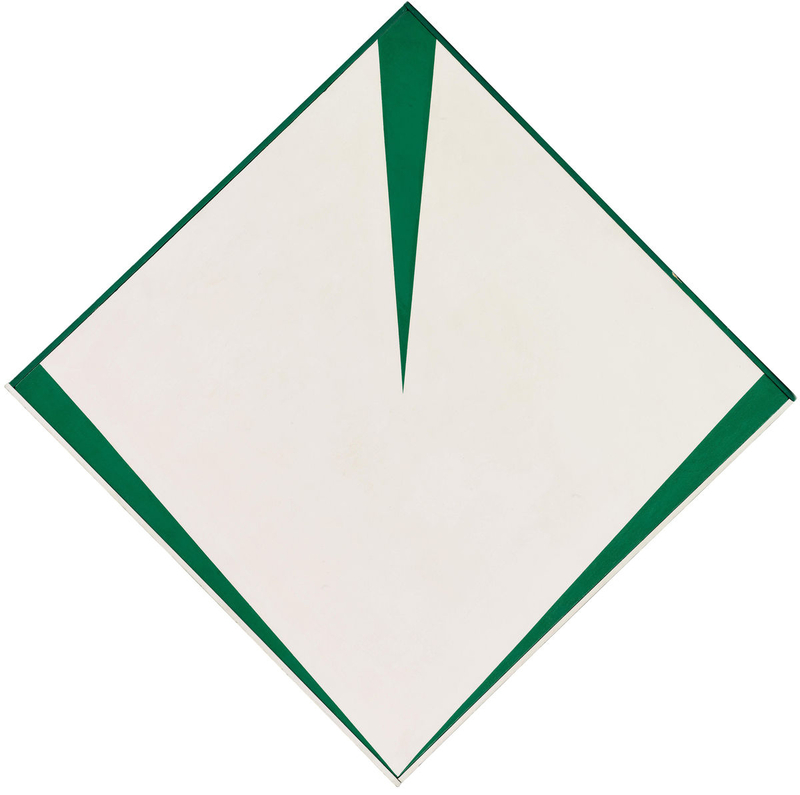 The 2016-2017 Whitney show ‘Carmen Herrera: Lines of Sight’ was Herrera’s first New York museum exhibition in nearly two decades. Though an enormous feat for the artist who was kept in the shadows for so long, the fact that the exhibition only focused on her work between 1948 – 1978 makes one wonder whether Herrera’s work from the second part of her life will soon receive the retrospective it deserves.